For years now, a number of health professionals and mainstream media have been shaping the minds of the rest of the population to choose low-fat dairy products over whole-fat varieties. While the debate over this matter is still on going, it is best if we can explore and be aware of both sides of this issue so that we can make better-informed decisions. Let’s start by knowing the difference between low-fat and whole-fat. Aside from the fat content, these two are also different when it comes to composition. That is, there are certain components that can only be found in whole-fat dairy products and not in low-fat products. One of which would be conjugated linoleic acid, which is a fatty acid that gives a number of great health benefits. 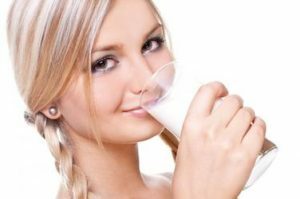 Recent studies have shown that consuming whole-fat dairy products can actually make you leaner and help in preventing weight gain over the long term. In a study that tracked 19,352 women aged 40 to 55 for nine years, respondents who consumed at least one serving of whole milk or full-fat cheese per day gained less weight over the duration of the study, compared to those who did not ingest full-fat dairy products. In addition, it was also found that drinking low-fat milk did not prevent weight gain. One of the best ways that you can prevent disease is to strengthen your immune system. And, research indicates that consistent ingestion of conjugated linoleic acid can help in doing so because it reduces the production of immune-suppressing compounds that limit the function of your immune system. Antioxidants protect cells form damage caused by free radicals in your system. Well-known antioxidants include vitamin C, vitamin E, and beta-carotene. Today, recent findings indicate that conjugated linoleic acid, along with other fatty acids, have the ability to counteract the harmful effects of free radicals. In a long-term study involving 60,08 individuals aged 40 to 76, respondents who consumed four or more servings of high-fat dairy per day had lower risks for colorectal cancer than those who ate les than one serving per day. Researchers report that each increment of two servings of high-fat dairy foods per day correlated to a 13% reduction in the risk of developing colorectal cancer. In addition, it has also been found by a separate study that conjugated linoleic acid may reduce the risk of having arterial plaques, which are one of the most common causes of cardiovascular and heart diseases. The researchers found out that people with heart disease had significantly lower levels of conjugated linoleic acid. Further investigation established that conjugated linoleic acid could induce the complete resolution of atherosclerosis and effectively prevent heart disease. Be duly guided when it comes to your food choices. Don’t miss out on the good things that whole-fat dairy products can provide you and your entire family. For more information on diet and nutrition, consult your trusted Gold Coast chiropractor here at Hinterland Chiropractic. We have been serving families in Nerang and other areas on the Gold Coast for over 20 years now so that they can have a much healthier and more enjoyable life. Call us today on 07 5527 3133 or simply book your appointment online.